Mikael Håfström's Escape Plan is a real dream for fanboys like myself who lap up any collaborations that classic eighties action stars do together. That is most likely why The Expendables films and Universal Soldier: Day of Reckoning went down so well here. It is once again time to rejoice as prior to firing out The Expendables 3, we can once again watch Arnold Schwarzenegger and Sylvester Stallone star together in Escape Plan. Whilst despite their quality, Arnie and Sly's latest solo comeback vehicles (The Last Stand and Bullet to the Head) did not light up the box office, surely the two of them together will prove a big enough draw for audiences. 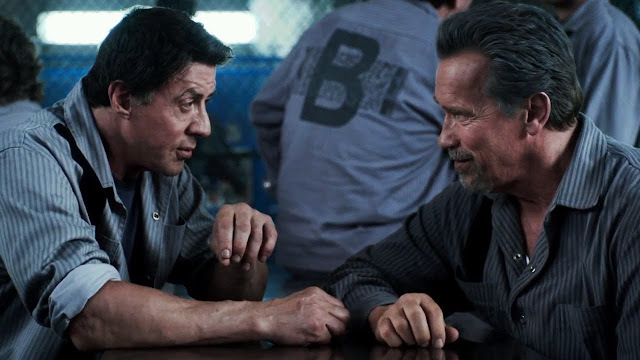 Escape Plan looks set to be nostalgic fun for fans of eighties/nineties action cinema with the two icons on top form. With a stellar supporting cast including Sam Neill, Jim Caviezel, Vinnie Jones, 50 Cent, Vincent D'Onofrio, and Amy Ryan - we couldn't be any more excited about Escape Plan. Escape Plan hits cinemas in October.